“Hail, King! Tomorrow thou shall pass away. Magnus Erlendsson was the Earl of Orkney in the early 1100s. He shared his reign with his cousin Hakon. For unknown reasons the two men had a falling out. Magnus and Hakon agreed to meet on the Orkney Island of Egilsay to try to reach a settlement. Both were to arrive with two boats of unarmed men. However, Hakon came with eight boats full of his soldiers and captured Magnus. Not wanting to kill Magnus himself he ordered his cook to do the dirty deed. While Magnus was praying the man dealt a fatal axe blow to his head. 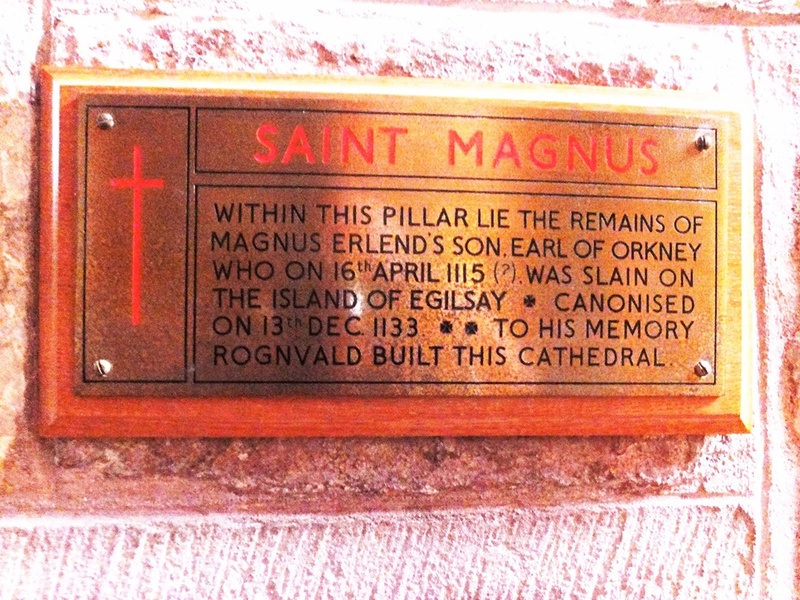 Magnus body was buried on the main island of Orkney. Pilgrims to his grave began reporting miraculous healings and happenings. 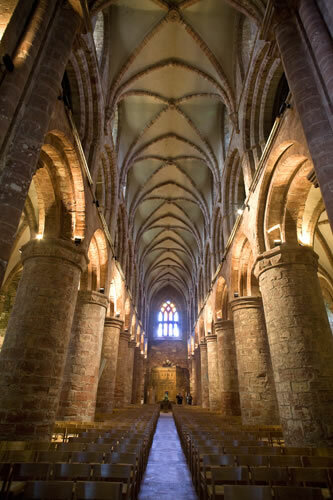 He was canonized in 1135 as Saint Magnus. A few years later Magnus’ nephew Rognvald came from Norway to claim his uncle’s Earldom. He promised the citizens of the Orkneys that he would erect a “great stone minster (church)” in Kirkwall and rebury Magnus in it. The cathedral was founded in 1137. 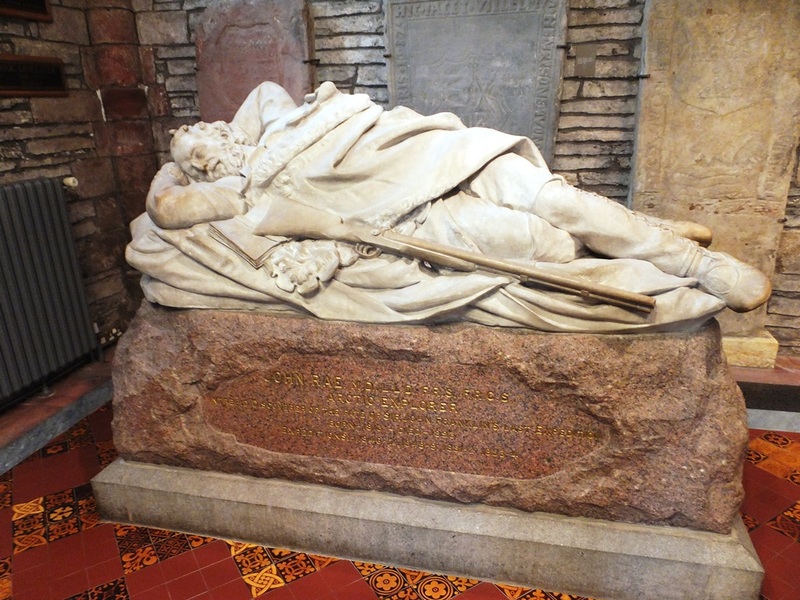 Rognvald was killed by a Scottish chieftain in 1158 and his bones were also returned to Kirkwall to be placed in St. Magnus Cathedral. It is a beautiful sacred space filled with many interesting tombstones and memorials. 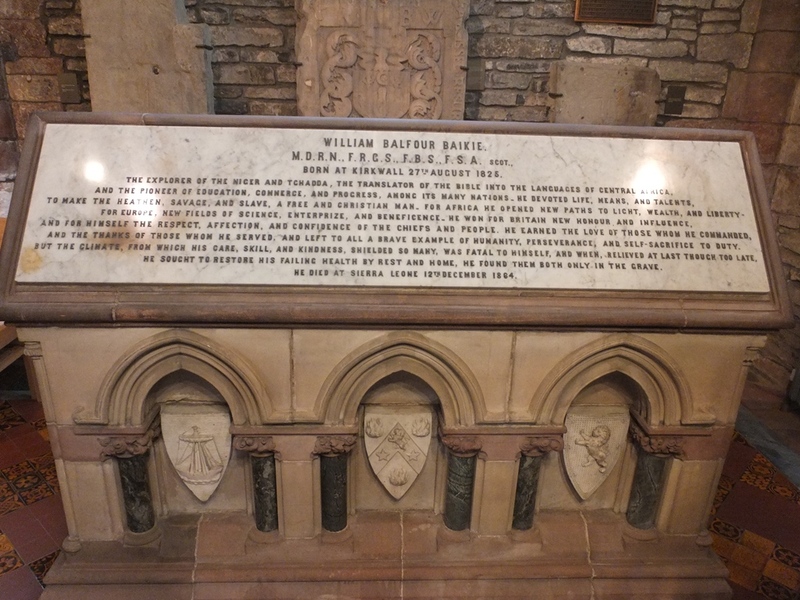 Baikie, William Balfour (1825-1864) – Adventurer – He was an explorer who navigated the Niger River and its main tributary, the Tchadda, in Africa. While there he translated the Bible into most Central African languages. Clouston, J. Storer (1870-1944) – Historian – A man of many talents he was also an author and antiquary, a student of antiquities. 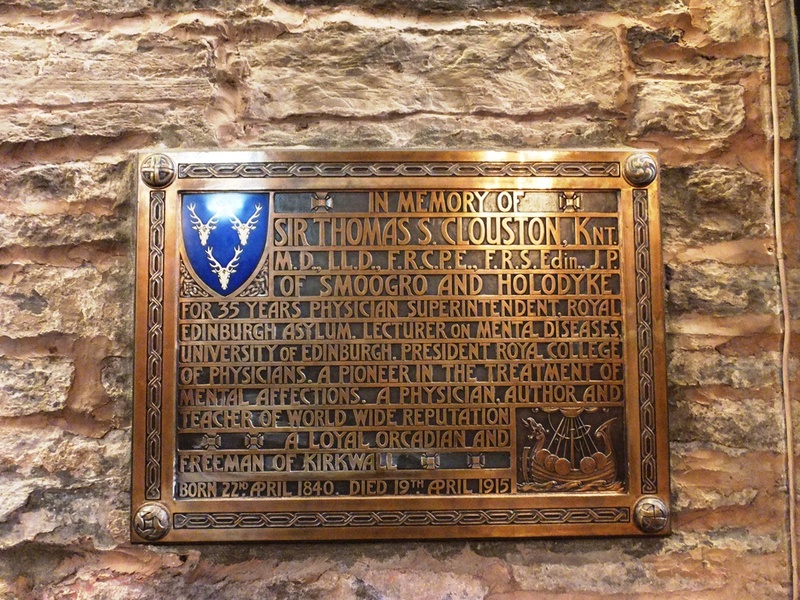 Clouston, Sir Thomas S. (1840- 1915) – Physician – For 35 years he was the superintendent of the Royal Edinburgh Asylum. In addition Clouston was a lecturer on mental diseases at the University of Edinburgh, President of the Royal College of Physicians, a pioneer in the treatment of mental “affliction” and an author. 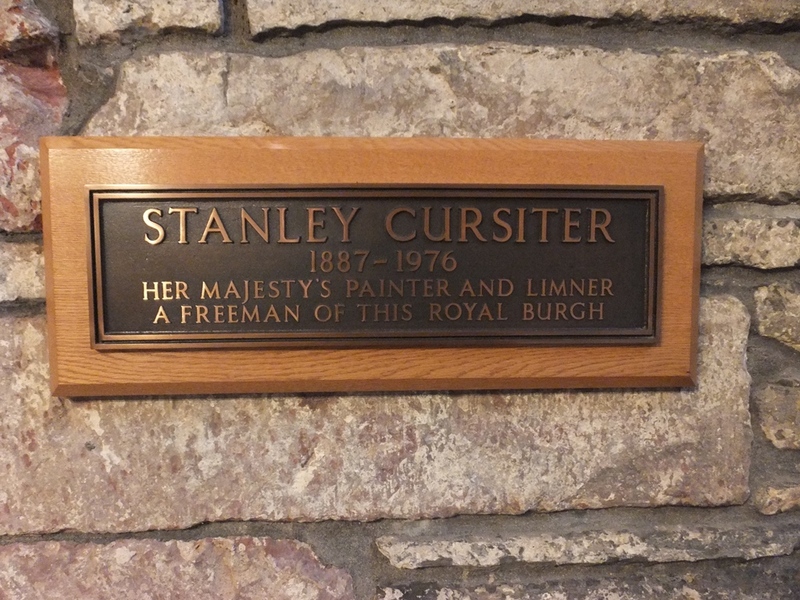 Cursiter, Stanley (1887-1976) – Royal Servant – He was the Queen’s painter and limner, an illuminator of manuscripts. Flett, Peter Copeland (1878-1960) – Politician – He was provost (or mayor) of Kirkwall from 1940 until 1947. 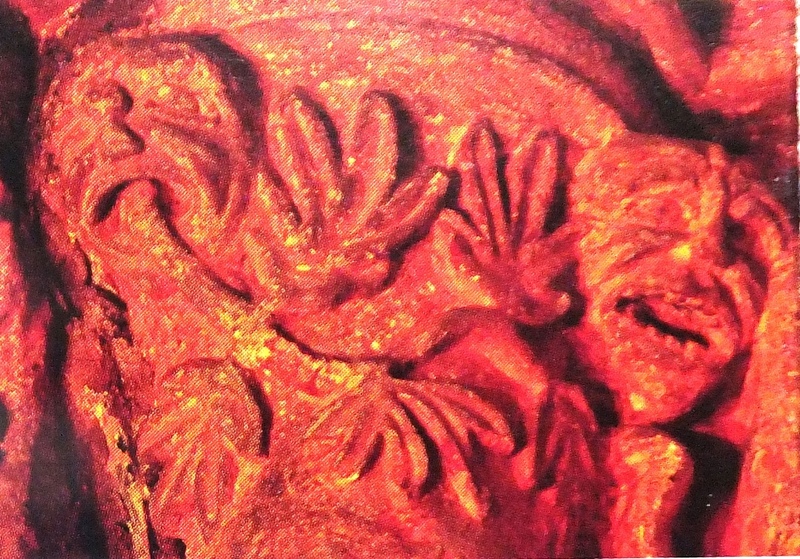 Green Men – Among the many carvings in the 13th century chapel are two green men. The carving of these faces dates back as far as 400 AD in ecclesiastical buildings. These small male figures are often surrounded by vegetation and have leaves or vines coming out of their mouths. They are considered by historians as representing vegetative deities. Symbolically green men are said to represent rebirth and the growth cycle of spring. 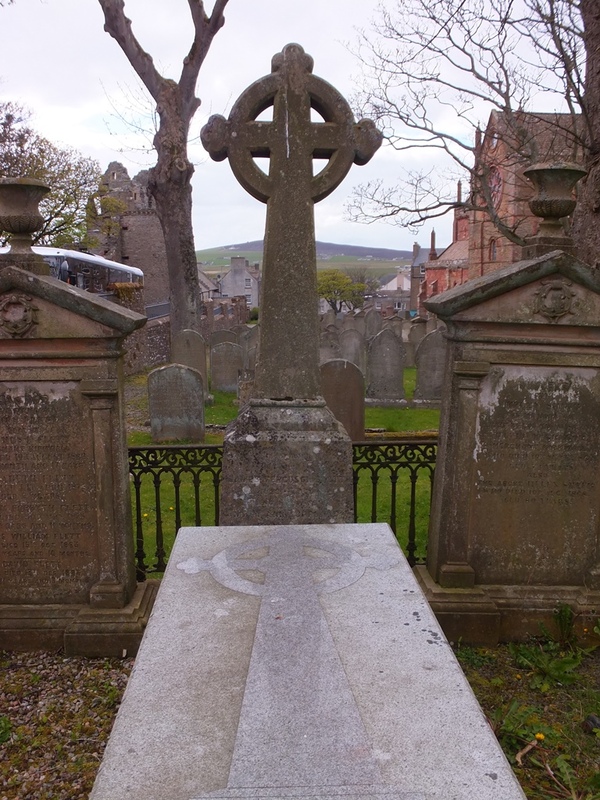 Irvine, Barbara (1637-1682) – Great Epitaph – We just loved the carving on her tombstone – “Here lies the corpse of a pious and virtuous woman…”. 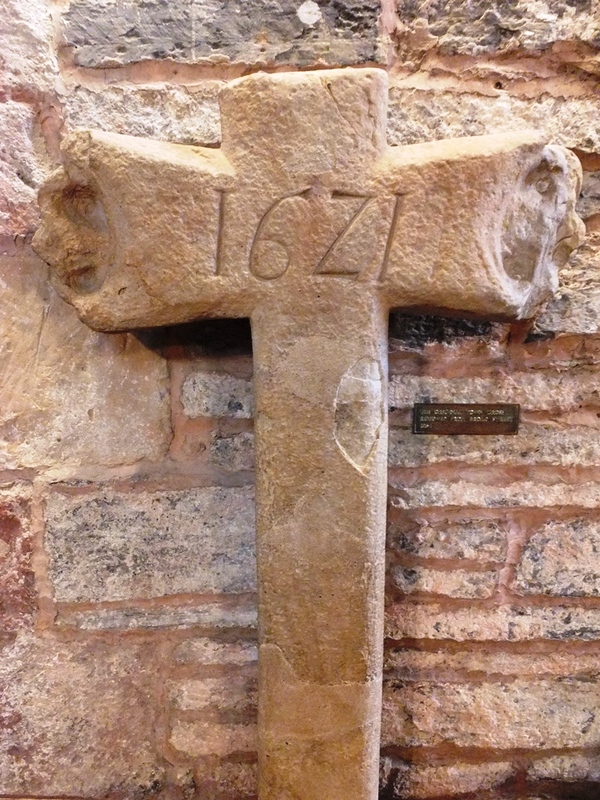 Kirkwall Cross – The original town cross from 1621 is in the Cathedral. 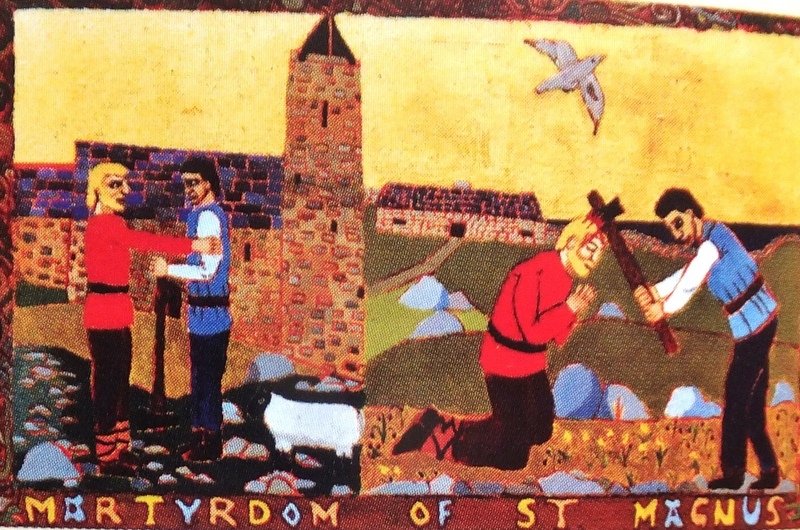 Mort Brod – Hanging from a pillar is a mort brod, a wooden death notice recalling Kirkwall glazier Robert Nicholson. Carved in the 17th century it is one of the oldest brods in Scotland. On it are a Death figure with a shovel and an hour glass. 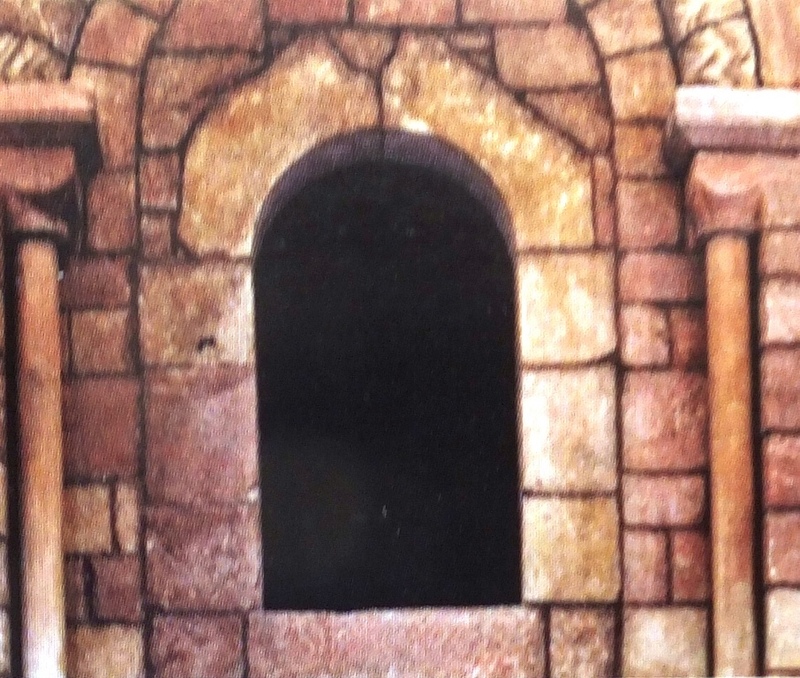 Marwick’s Hole – This arched opening high on the wall of St. Magnus was a stone cell where women accused of witchcraft were detained. 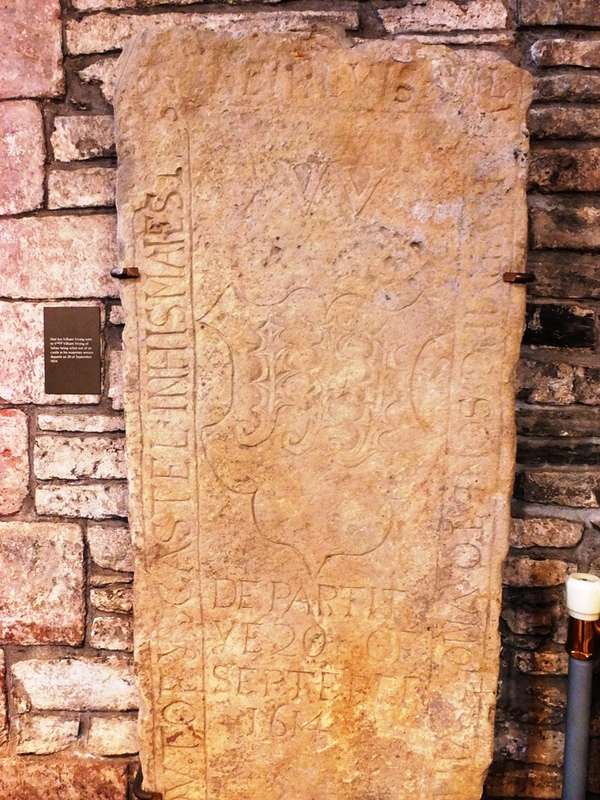 Oldest Tombstone – At the chapel steps just past the choir stalls is the oldest existing grave marker. It is from the 13th century and has a “morning star” and a sword carved on it. Historians speculate it may be the grave of a crusader or Knight Templar. Prince, Patrick (?-?) 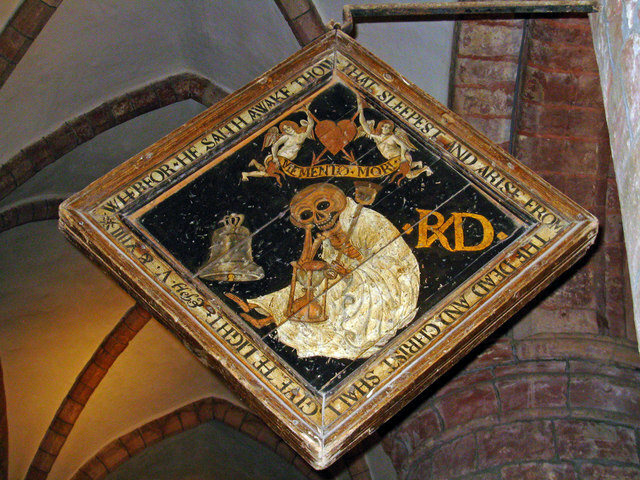 – Merchant – This is one of the more interesting headstones in the Cathedral. 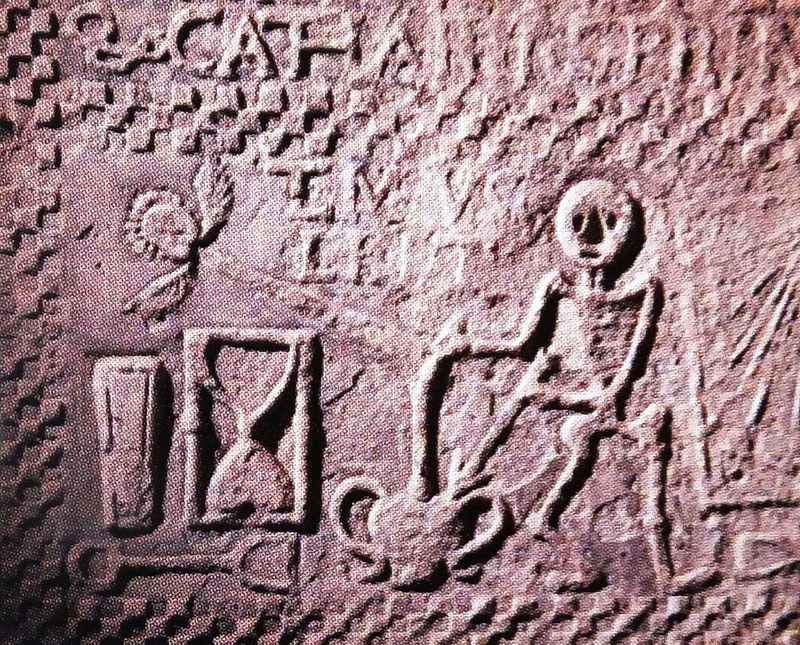 Carved on it are the figure Death (a skeleton), a spade and an hour glass. Rae, John (1813-1893) – Explorer – This Scottish doctor explored northern Canada attempting to find the Northwest Passage. In 1845 Sir John Franklin, another Scot, also organized an expedition to find this almost mythical channel that ran across the top of Canada from the North Atlantic Ocean to the Pacific. By 1848 he had not returned and it was almost certain that he and the crew lost their lives. However, this ill-fated journey became one of the great maritime mysteries. By 1854 three expeditions were launched to search for Franklin. Because of Rae’s intimate knowledge about the area he was sent to discover what had happened. Rae eventually found Franklin’s ship had been frozen in the Arctic ice and the men (30 bodies were found) eventually died of starvation, hypothermia, lead poisoning, tuberculosis and/or scurvy. The story of this great adventure is told in an excellent book by Owen Bettie and John Giger titled Frozen in Time: The Fate of the Franklin Expedition. 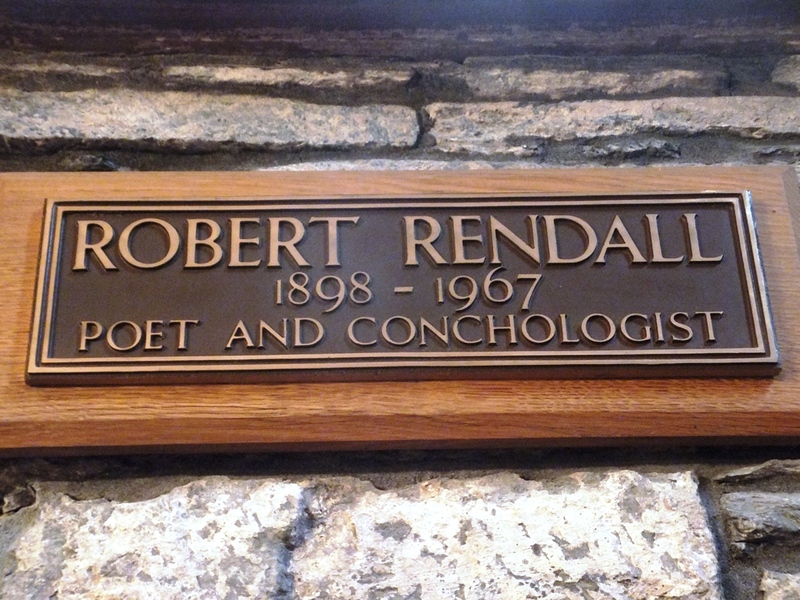 Rendall, Robert (1898-1967) – Poet – In addition to his writing skills he was a conchologist, an expert on mollusk shells. 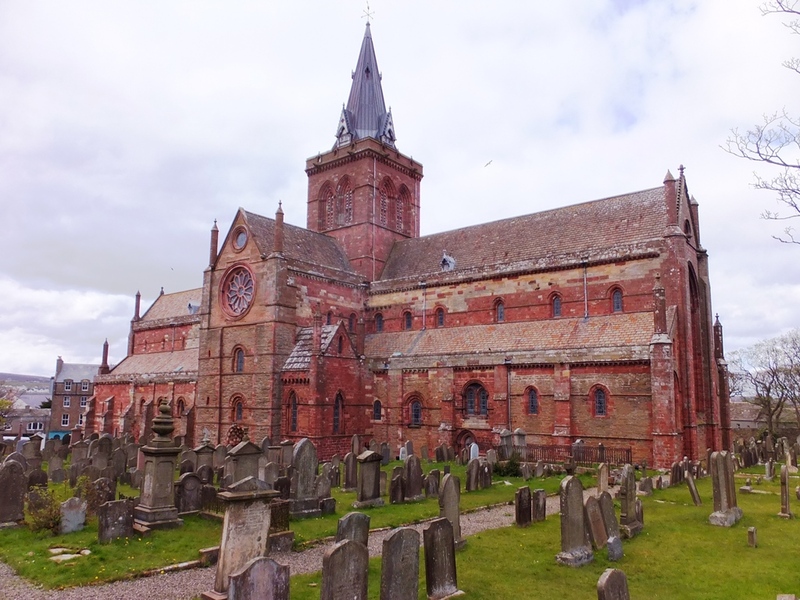 Saint Magnus (1080-1115?) – Earl of Orkney – See above. 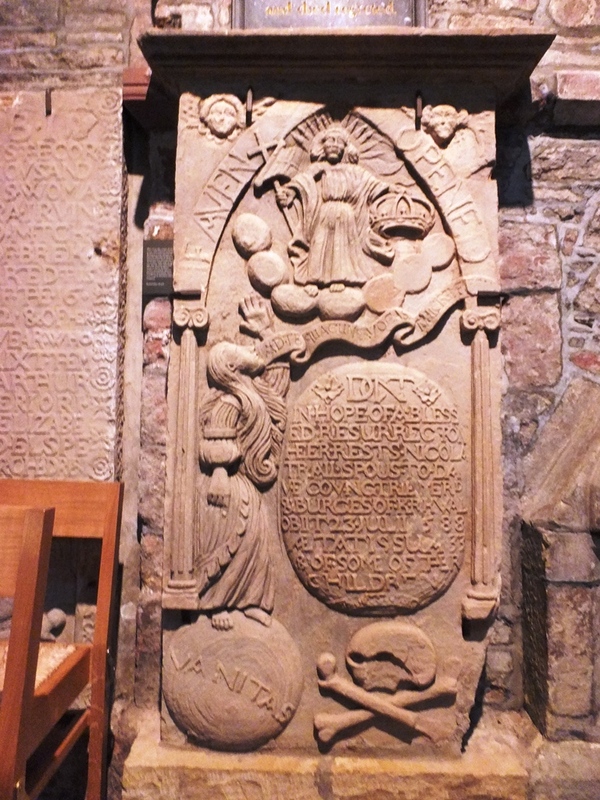 Remains of Magnus and Rognvald are interred in a square pillar in the choir stalls marked by brass plaques. 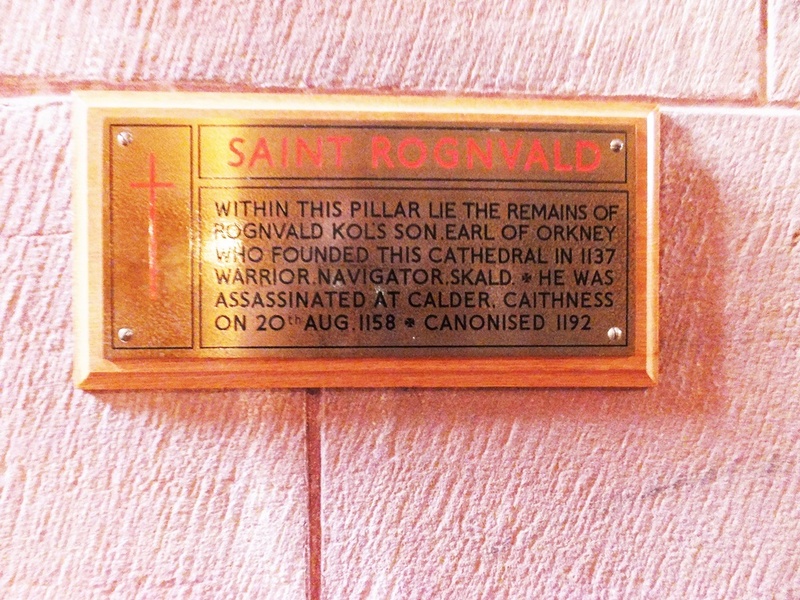 Saint Rognvald (1103-1158) – Earl of Orkney – See above. The Cathedral’s chapel is dedicated to him. During a renovation in 1965 local craftsmen carved a life size statue of Rognvald holding a model of the church. 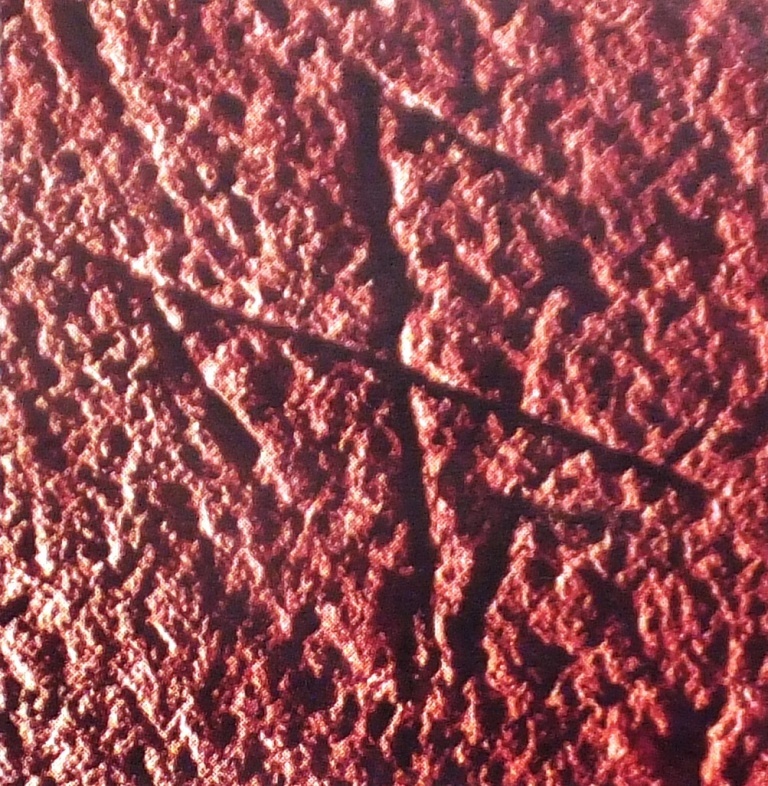 Stonemasons’ Marks – Many masons worked on St. Magnus Cathedral over the centuries. 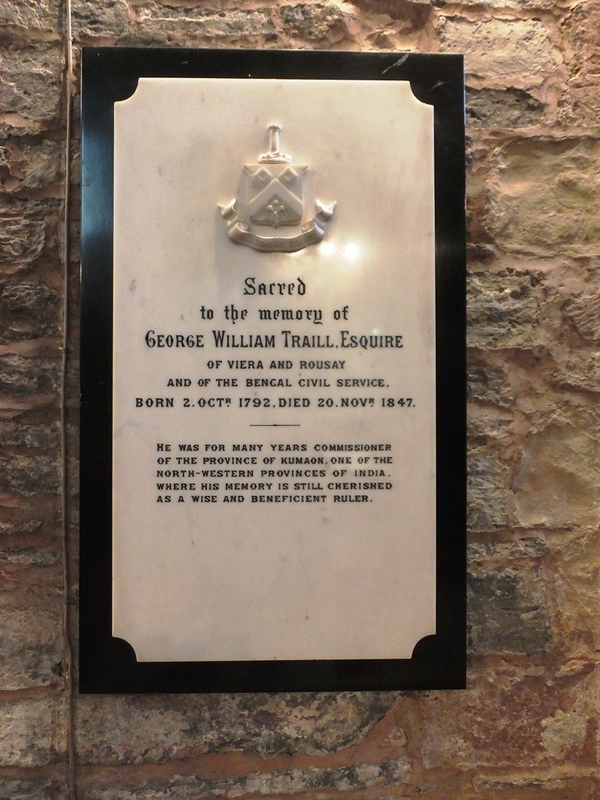 In several places in the building these masons left their marks as was the tradition. Vrving, Villiam (?-1614) – Soldier – He was killed in an attempt to capture a castle while serving in his Majesty’s Army.